Supports up to 26″ monitors with a maximum individual weight of 22.1 lbs. 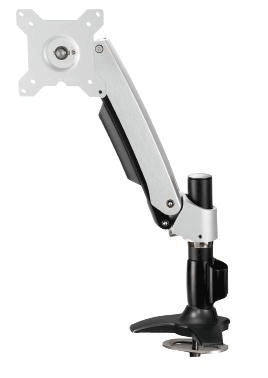 Strong and sturdy mount and extremely adjustable! The monitor has 360º rotation, meaning landscape, portrait, or anything in-between. 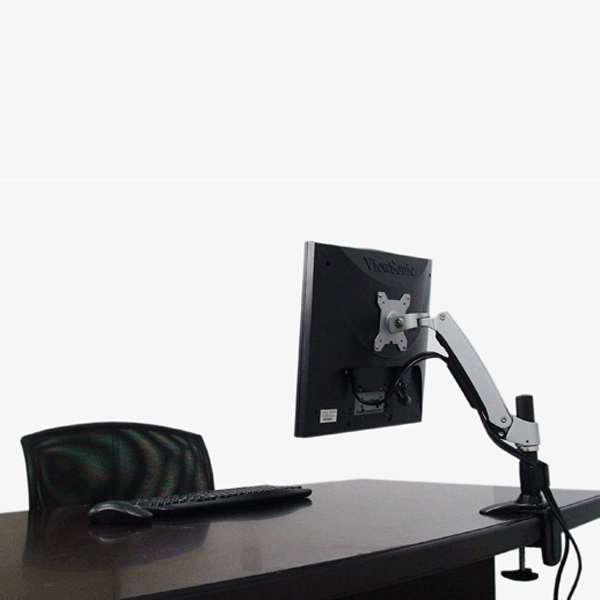 Height adjustable, with a maximum height of 16.46″ (from the desk to the centre of the mounting device). Extendable with a max horizontal extension of 16.54” from the rear edge.